As you may recall from early posts, we use agar plates for growing and manipulating libraries of yeast strains. 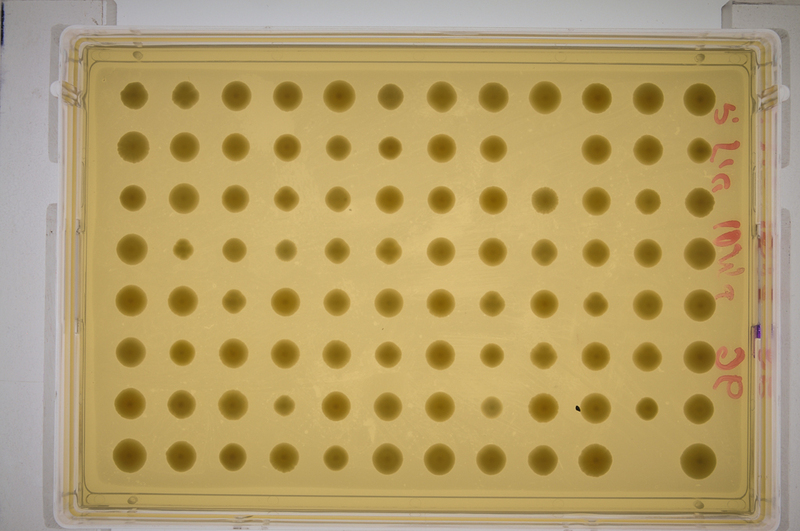 We also keep "replicating" copies of these plates to maintain a "live" copy of the libraries. One of the potential problems is that we mis-copied a plate, or introduced a contamination. One way to check that is to examine the plate pattern. Basically, each library plate has different set of empty spots. This means that we can easily identify plates by these "finger prints". Moreover, a contamination would fill the empty spaces by new colonies. Thus, it was clear early on that we need a tool for taking pictures of plates and recording/analyzing the colonies. 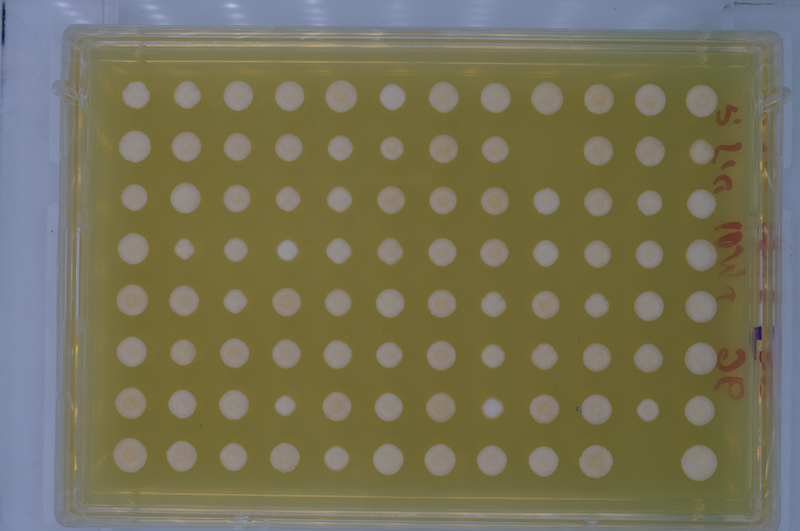 We could use the standard gel camera we have in the shared room, but that was both unwieldy and exposed our plates (and us) to ethidium bromide (which is used by other labs for dying DNA on gels). 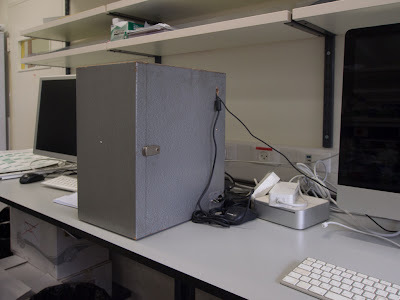 Instead we aimed for a dedicated station for imaging plates. We found some solutions by commercial companies. These however, were very very expensive. And so we decided for a Do It Yourself solution. We consulted with the local electrician, and helped by Meretz, a retired electrician built our own solution. 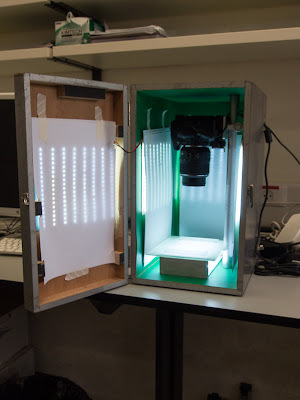 The box is an old wooden box that was originally for a nikon microscope. The local workshop built us a device to hold the plate in a precise location. 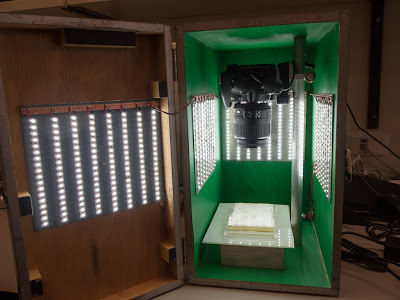 Since the plate is asymmetric this ensures that the images are of the correct orientation. We bought a Nikon camera that can have external power supply and remote operation. It is an overkill for the image quality we need, but it does work without battery replacement or manual operation. As a light source, Meretz suggested using a led strip. He built these leds below the plate holder. This meant that the image colonies showed up as silhouettes. I wrote a simple program that identifies colonies, their location and their size (which is useful for estimating the fitness of different strains). Eli Peker, who worked as a summer student, wrote a program for uploading images and storing them in a database. This interface allowed different people in the lab to keep track of libraries and compare to previous versions. Recently, Amit (who deserve his own post soon) suggested we also examine the color and texture of the colonies. This appears to be a known phenotype. However, since the light source was below the colonies we could not use our box. We again contacted the local electricians who installed additional led strips for forground lighting. As you can see, the forground lights turned out to be a bit excessive ("disco" as Amit put it). Now we could make out the color and the texture of the colonies. 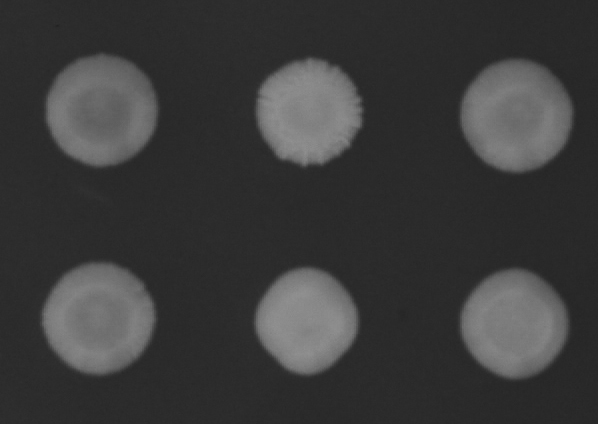 However, now some of these disco lights are reflected in the image and look like small colonies (top part of the image). To deal with this, we added our own DIY screen (paper) to soften the light. 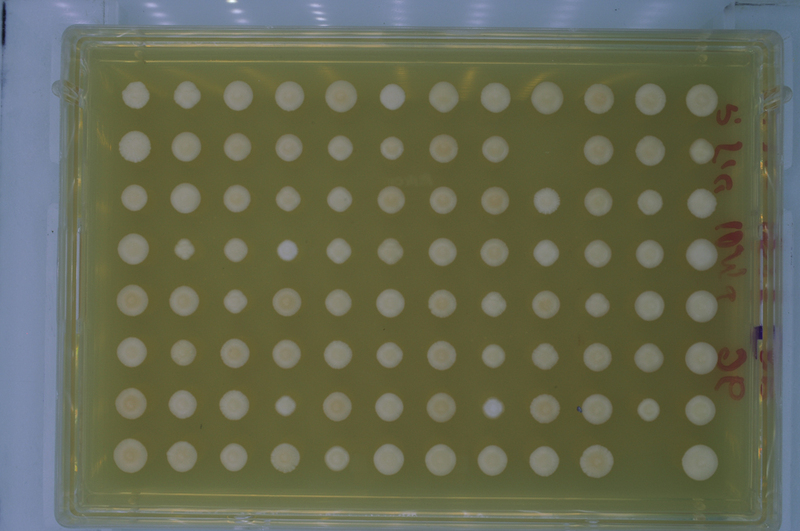 Which lead to removal of the annoying reflections on the agar. 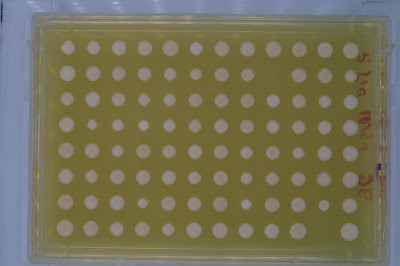 Notice that in this plate there are few white colonies (two small ones) and some that are more yellow. These differences are easier to see if zoom in on a region of the image. Moreover, some colonies have a different texture, these differences are enhanced when we examine a gray-level version. For now we use the lightbox to record the plates with different strains. We didn't yet write an automated color classifier (relatively easy) or a texture classifier (a bit harder).